Thrill-seekers Brad Pitt and Angelina Jolie enjoyed a daredevil date in Canada recently. 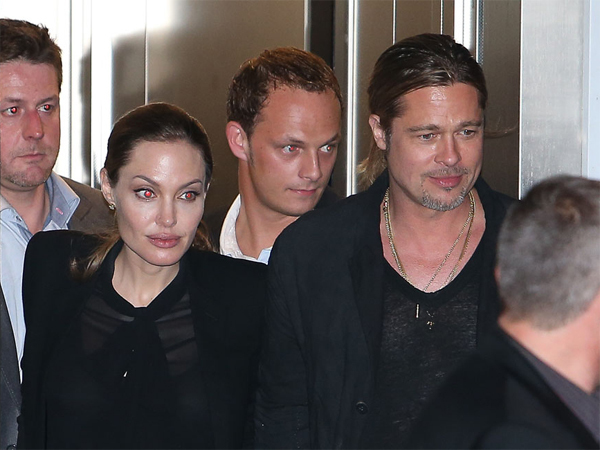 Brad Pitt and Angelina Jolie enjoy daredevil dates. The couple may have six children together ? Maddox (12), Pax (9), Shiloh (7), Zahara (8) and five-year-old twins Knox and Vivienne ? but they apparently still find different ways to spend quality time together. According to reports in The Sun on Sunday newspaper, the pair recently rented the Calabogie Motorsports Park in Canada and spent the day racing each other in Mustangs and Porsches, before switching to motorbikes. A source revealed, "Angie flew to Canada to scope out some potential filming venues for her movie Unbroken a couple of weeks ago. "Brad and the kids went too but they vowed to get some couple time together during the trip so they booked out Calabogie racetrack for a day." It made a change for the couple ? it’s said they haven't raced "for some time" so the trip "got their adrenaline going". The insider added, "Neither of them have driven fast cars or motorbikes for some time. They haven't even flown Angie's private plane so it really got their adrenaline going and they both loved it." I'm a 66 year old man looking to meet women between the ages of 50 and 61.